Fire And Stone | Abandon Spoon! Christmas Pizza- A little bit late I know, but still. 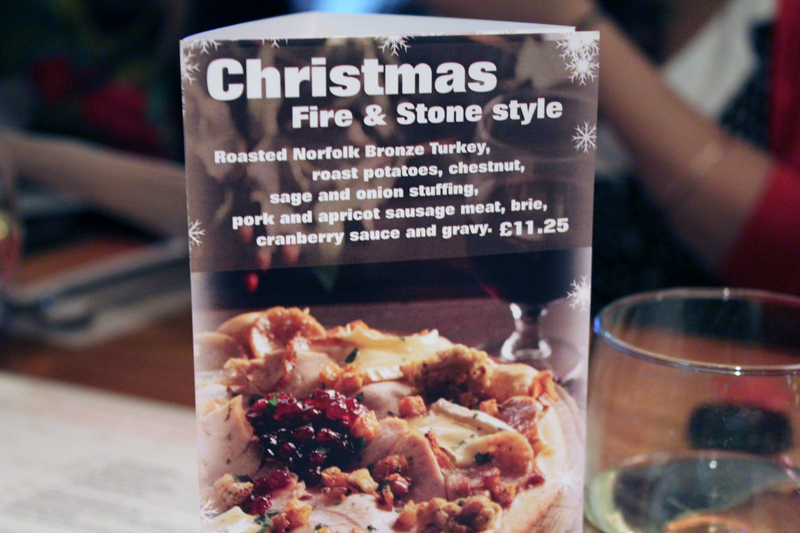 Just before Christmas a group of us who contribute to the Young and Poor had our Christmas dinner at Fire and Stone. For those of you who don’t know the restaurant it specialises in very odd pizzas. For example, curry on pizza. Their standard pizza menu is divided up into continents, and the toppings are what you would expect to eat in that continent. 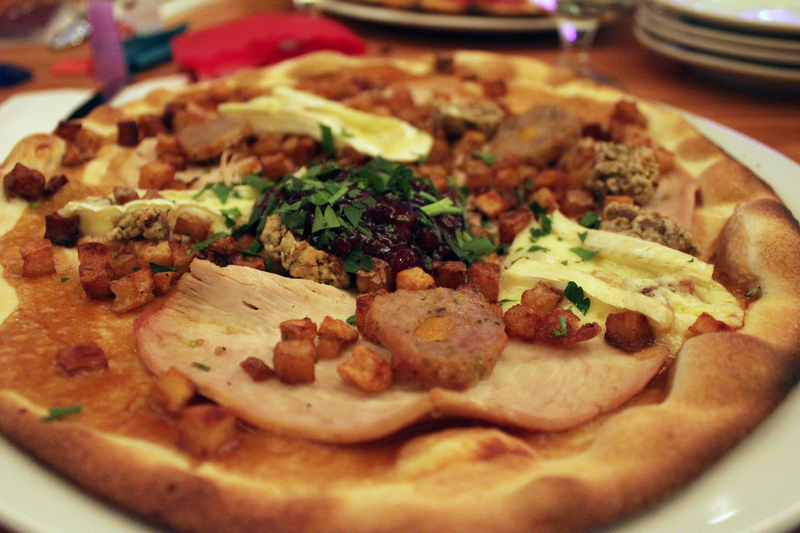 Thier Christmas special pizza had Turkey, gravy, roast potatoes, stuffing, cranberry and brie toppings. Even to those who that didn’t sound nice to- we were all intrigued! So we booked a table for the restuarant in Sptialfields market, bought our own crackers, and sat down for some festive fun. As is always the way with this group their was lots of giggling and laughing about silly things. 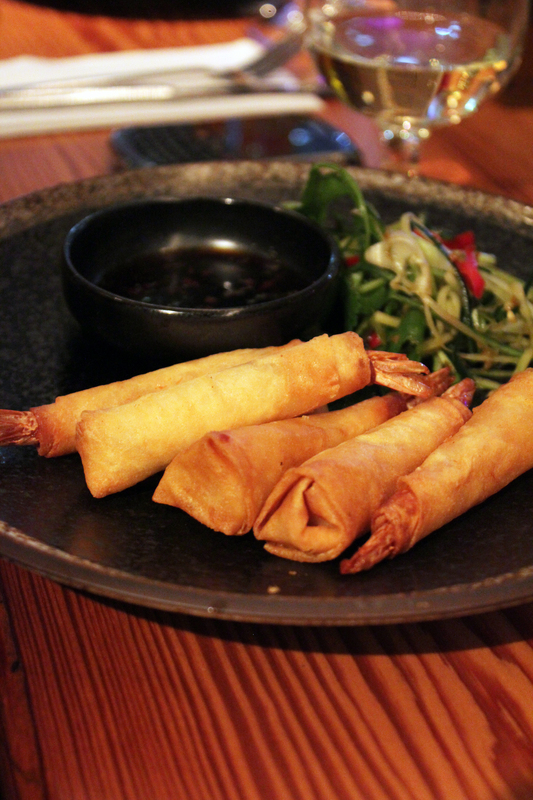 We had a selection of their starters including calamari and crispy wonton king prawns which were very nice. The pizza was so much better than I imagined it to be. It just worked. I was a little bit aprehensive about what the combination would taste like, but also quite excited as I love Christmas dinner, and I love pizza. And it didn’t dissapoint. The gravy was spread like you would normally spread tomato puree on the base, and then thin slices of turkey layered up like cheese or pepperoni. The cranberry sauce and brie complimented it really well and made sure that it didnt taste too dry. Sadly this pizza is only a Christmas special, but if you like the sound of these combinations it is definately worth a visit.